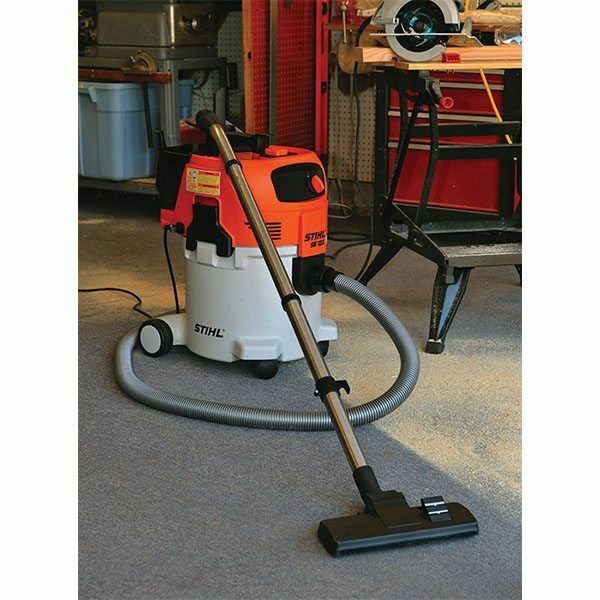 SE 122 A powerful and quiet wet/dry vacuum for a wide range of professional jobs. 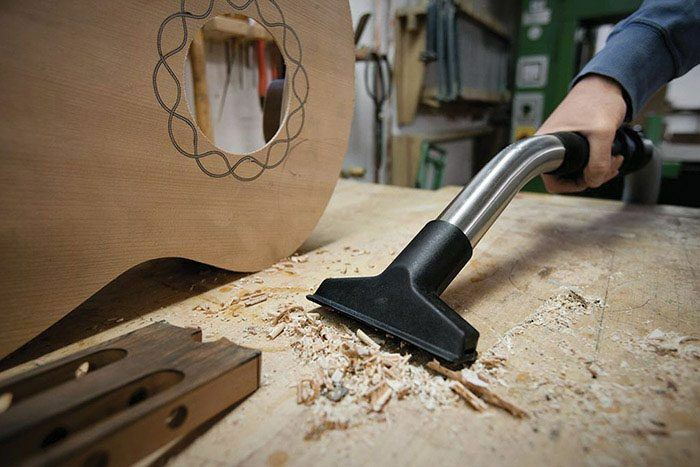 Get a serious clean without serious noise. The STIHL® SE 122 features a quiet, powerful motor – operating at only 62 dB(A) with 11% less noise than the SE 61. Plus, with 27% better suction and its larger 7.9 gal. capacity canister, the SE 122 can handle just about anything your job site can throw at it. Need to transition from one type of surface to another? 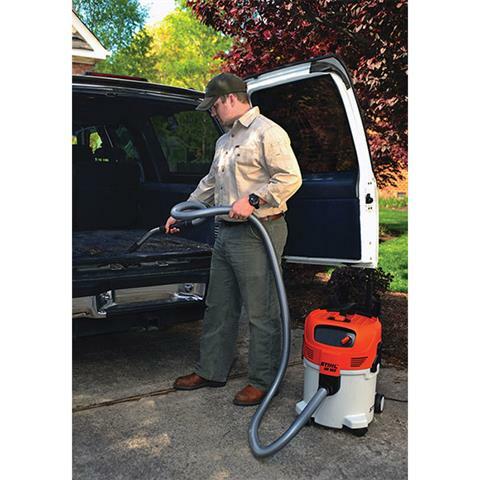 This vac features a universal wet / dry suction head and foot-activated depth control so you can switch from wet to dry surfaces seamlessly without needing to change the filter. 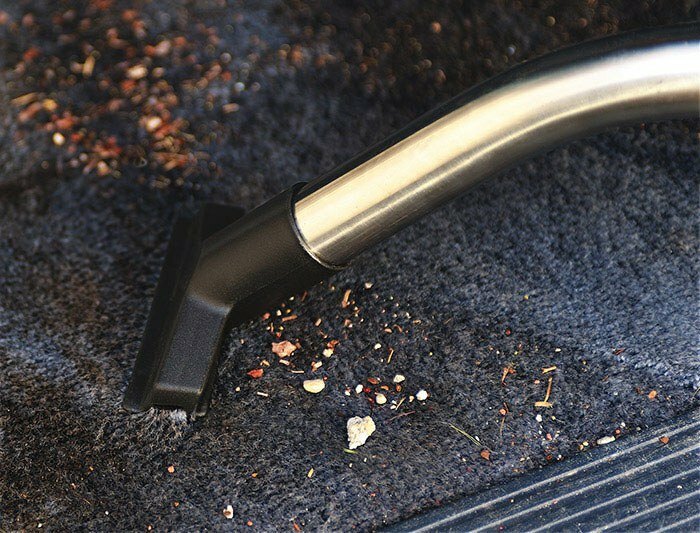 Three cleanup tools – a universal tool, crevice tool and adjustable floor tool – are easily stored on a self-contained tool keeper so they’re always at hand when you need them. 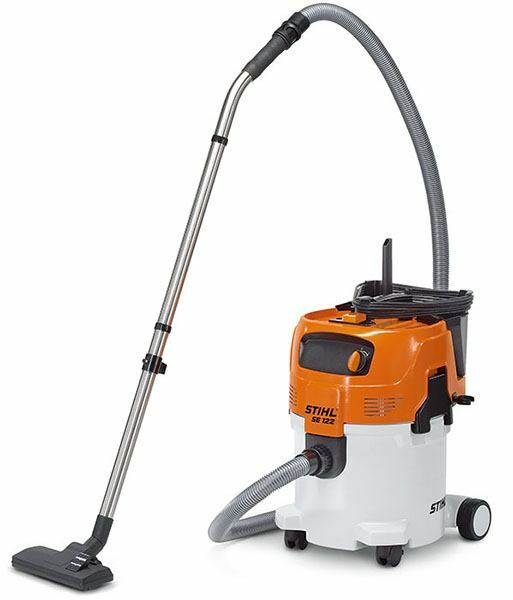 It also features a 10 ft. suction hose and 25 ft. electrical cord, so you can out-maneuver your mess with ease. When work gets messy, this vac picks up just about anything, including the slack.